Specific topics include Windows basics, navigating and customizing the desktop, maintaining hardware and software, improving performance, configurations, securing your computer, taskbar, organizing, searching and managing folders and files, installing and uninstalling applications, Internet Explorer fine tuning, security, and searching, including advanced search techniques, keyboard shortcuts, and current topics. 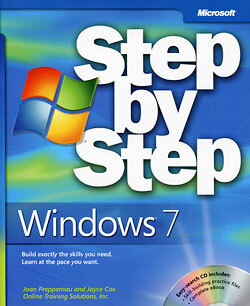 You will need access to a PC running Windows 7 hopefully with Administrative access. Perform start-up, shut down, standby, and hibernate procedures on the computer. Customize the desktop, including gadgets. Maintain the hardware and software. Track the status of application programs currently being used through the Task Manager and task bar functions. Use the Help utility to obtain information. Install and uninstall application programs. Use Internet Explore to navigate and efficiently search the web. Use Windows built in applications. As a Maricopa Community College student you have been given a student email address with your Maricopa Community College Enterprise ID as your username (YourUsername@maricopa.edu). The school uses this email account as an official channel for correspondence and you are responsible for maintaining this email account. Canvas is connected to this account as well. That means that if your instructor responds to you through the Canvas email, the email will go to your student email address (that is if the system is working properly). You may configure this account to forward your email to an account that you might prefer to use instead but it is your responsibility to set it up and maintain this email account. When corresponding with me as your instructor, you should send your email to my instructor email account, flash.johnson@gccaz.edu. Email sent to my student email account may not be seen in a timely manner. This information can be found in Canvas or your My.maricopa.edu. You may want to have it handy somewhere so that you can quickly copy and paste it in your email correspondences. Do NOT include passwords or your Social Security Number. Grades for this course will be based upon the satisfactory completion of the assignments. It is my practice to withdraw students who get below a (D). If you require a letter grade (F) instead of a withdrawal (W), then you need to let me know during final grading near the end of the class. However there is no reason that you should get lower than a (C) if you just complete all the work. I want this course to be the best that it can be, so if you have any feedback concerning it please, do not hesitate to let me know. As a student of this course you are the best person to offer constructive criticism that will not only benefit you but those students who come after you. In your comments please include why you liked the things you did and why and how you think other things should be changed. Thank you for your feedback, flash.johnson@gccaz.edu. The College will make reasonable accommodations for persons with documented disabilities. Students should notify Student Services and their instructors of any special needs. It is the student's responsibility to read and be familiar with the course syllabus. Additionally it is the student's responsibility to be familiar with college policies covered in the Glendale Community College Catalog and Student Handbook. Please take some time to explore GCC's guidelines for online behavior. Instructor reserves the right to make any necessary changes to this syllabus or assignments for the particular needs of this class.